A crucial figure on the outskirts of Detroit techno since the mid '80s, James Pennington's recordings as the Suburban Knight pioneered the moodier side of the Motor City with classics like "The Art of Stalking" and "The Groove." And though he collaborated on the biggest hit to come out of Detroit, the techno-pop monster "Big Fun" by Inner City, he later recorded with subterranean mainstays Underground Resistance. It was through his connection with another Detroit mainstay, Derrick May, that Pennington began recording. May had set up his own Transmat label in 1986, and Suburban Knight debuted the following year with the third release for the label, "The Groove." He had also been working with Kevin Saunderson (who was also his room-mate for 3 years), and co-wrote "Big Fun" with Saunderson and Arthur Forest. After vocals were added by Paris Grey and the record was released, it became a worldwide hit and virtually defined early Detroit techno for many foreigners. Though Pennington only released one more single for Transmat, it was the dark classic "The Art of Stalking." After the commercial success of 'Big Fun', he signed a deal with Paragon but released very little as they wanted a more commercial sound. This deal prevented him from released anything for around 3 years. With the rise of Detroit's second wave in the early '90s, Pennington became a mentor for Mike Banks and the Underground Resistance crew. With UR, he released the singles "Nocturbulous Behavior" and "Dark Energy." 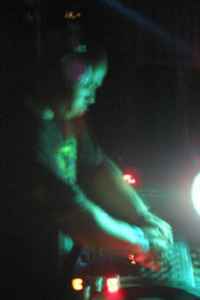 He also featured on the Submerge (3) label compilation Depth Charge, Vol. 3, and produced tracks for Underground Resistance's 1998 full-length Interstellar Fugitive. James' Debut album 'My Sol Dark Direction' was released to critical acclaim including both classics and new, unreleased productions. James Pennington is one of the nicest and kindest persons I have ever met among electronic DJ's and producers. I really have a feeling with his dark universe. "The Art Of Stalking " and "Nocturbulous Behaviour" are undeniably major gems on the techno history inspiring the name of my own record label. James didn't release many records, but it is always highly Qualitative.R.E.S.P.E.C.T!